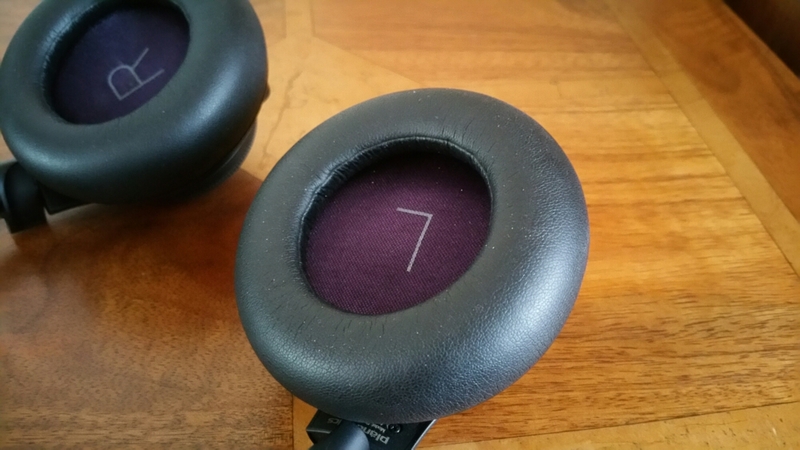 These are my reference bluetooth headphones for a number of reasons. First they sound freaking awesome with APT-X support too. These are bass monsters, deep sub level bass but surprisingly they don’t ruin the mid or trebles too much. . They are great fun to use and listen too and make most music entertaining to listen too. BUT they are not for audio purists. I believe it’s always good to have a fun pair of headphones. Despite their exaggerated bass, the still command speed, attack and an overall decent presentation. They are very comfortable to wear and if you can manage 24 hours of non stop music then these are just the ticket. Since owning these I have updated the firmware and changed the language from US to UK English. When connected to your PC you also have the options to turn off some of the voice actions. When you place these over your ears, the female voice confirms when phone 1 and phone 2 is connected and the level of the battery. Plantronics have an app you can download that amongst some of its features also confirms how many hours are left in the headphones battery. Remember, 24 hours playback with only 3 hours to recharge. Switching between connected devices works effortlessly. Then there is the auto off and on feature. Take the headphones off your head. The music is paused. Place them back on your head, and the music starts again. From the headphones itself, you can take calls etc, play/pause music, skip forward or backwards and adjust the volume. 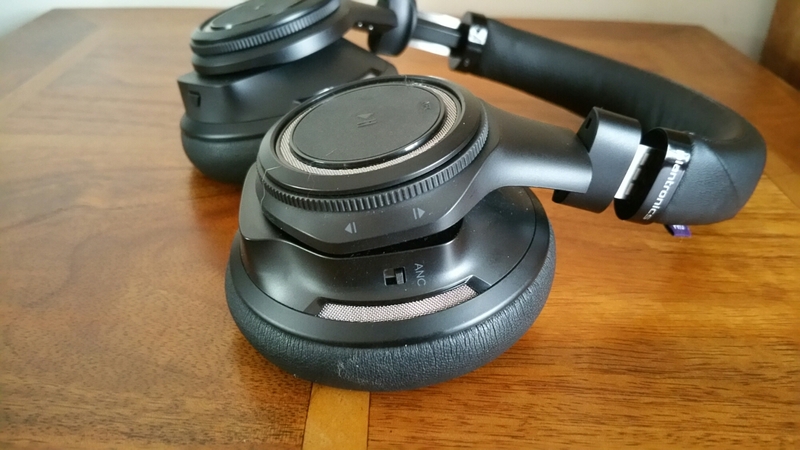 The headphones also feature noise reduction to eliminate outside noise. This can be turned on or off. There is also a mic button on the headphones. If somebody starts talking to you, you will not be able to hear them. But pressing the mic button, pushes the sound to the rear and you can now hear properly and conduct a conversation. The headphones comes with a black soft cushion sleeve and a wired cable for times when the batteries run dry. But with 24 hours playback that’s unlikely to happen! Plus 3 hours to recharge them only. 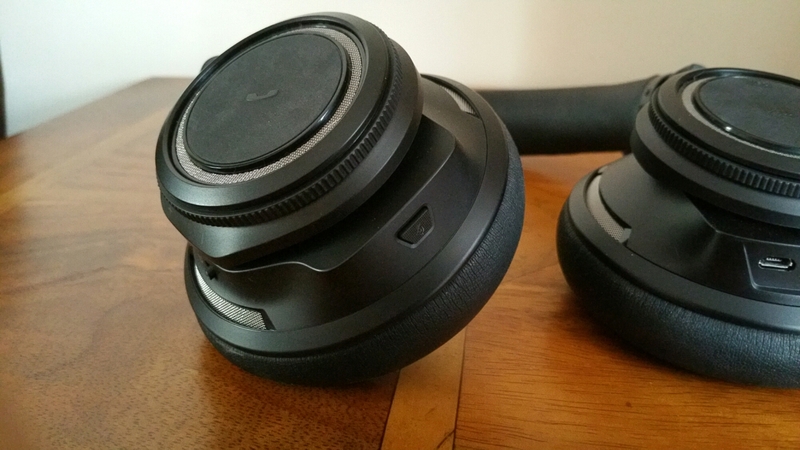 Seriously Plantronics have thought of everything with these bluetooth headphones. So long as you don’t mind the extra bass then these are recommended. 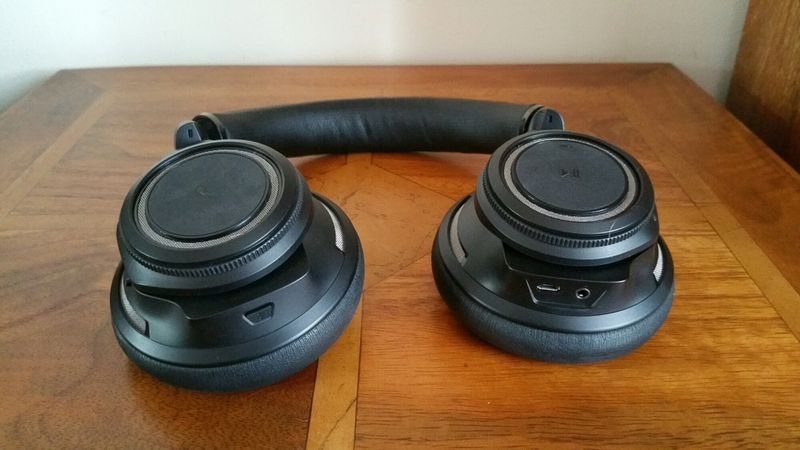 As I mentioned at the start, these are my reference bluetooth headphones. Cutting the chord has never been so much fun. The quoted range seems remarkable for BT cans. Are they really this good compared to the other options? Bought them some months back. Also got a solid travel case for them. Very comfortable cans which sound solid. Yes there are absolutely good and the range is excellent. They also sound reasonably good for in-ear headphones.